These two recipes are my go-to recipes for making tender, juicy chicken tenders, or chicken breast. They are easiest when using the skinless, boneless. While I do believe bone-in, skin-on chicken breast is most flavorful, using the precut, skinned and de-boned chicken makes it super quick to prepare. The tenders are usually perfect width for grilling and pan-frying evenly as well. If using chicken breast, cut them in half width-wise. This is easiest if slightly frozen. You can certainly use these recipes for chicken thighs as well. I have used chicken thighs in the past, and really love the curry coconut recipe for chicken thighs. Place the chicken on a big platter, and season generously with salt. As seen in the video below, I use both the cheap bulk sea salt, and Real Salt. Add curry. I lightly dust with curry, but use as much as you like. You could alternatively use turmeric, or a hot (spicier) yellow curry powder. Add an even lighter dusting of white pepper if desired, but purely optional. Warm your cooking pan(s), or heat the grill. In the video below, I used a stove-top cast iron grill pan, and an extra small cast iron skillet to cook the entire package of tenders at once. Grilling is really great, but if you use the pan, you get to add the butter and oil. Add butter and oil to the cooking pan. If cooking them all in a pan, add as much of both the butter and oil as needed. You don't have to be shy about it either. Using both together is a great flavor combo, but also the oil helps prevent the butter from browning. If using a grill top pan, just wipe a little butter on the ridges before grilling. Cook until you can see white around the edges, flip, then cook until the tenders are firm, but not too firm to the touch. You want them to be juicy inside still. Remove one to cut in half to see if the meat all looks white, and cooked through. 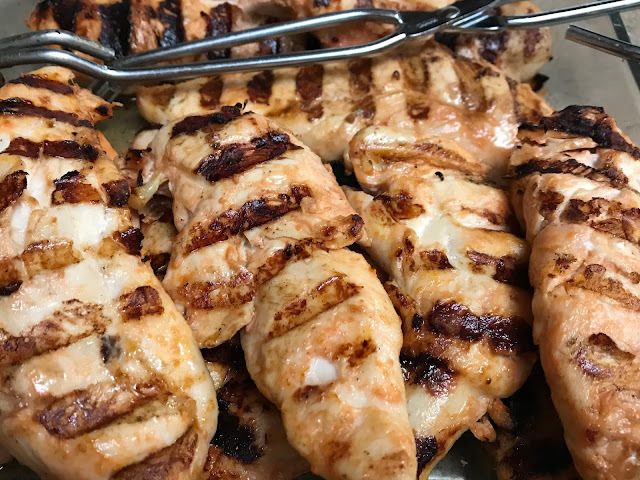 If you grilled them all, you can simply heat the oil and butter together, adding a pinch of salt and even a pinch of stevia until melted and combined. Pour on top of the chicken, or in a small bowl for dipping. Watch me make these delicious, tender Curry Coconut Chicken Tenders in the video below. Don't forget to make plenty for leftovers! Cook once, eat at least twice!!! These pack well to-go! Yes, ketchup. It's the perfect marinade. It's tangy and a bit sweet. Buy a better quality ketchup that is more naturally sweetened, corn-syrup free. The acid breaks down the muscle fibers, helping create a very tender chicken breast. You really don't taste it once cooked. Maybe a tiny hint. Add several squirts of ketchup. Season generously with salt, then add a little pepper, and any of the optional seasonings. The ginger is warming. The garam masala or cinnamon will add a slight earthy sweetness. Let this sit for 30 minutes or longer. You can let it sit in the fridge uncovered overnight. Warm your pan, or heat the grill. Add fat if cooking in a pan. Cook the chicken as above. If grilling, you can add a barbecue sauce at the end if you prefer a more tangy, saucy chicken. Sweetener of choice - I used to use brown sugar. These days, I don't have any around, so I make do with alternatives. Either a bit of real maple syrup, good quality honey, a little stevia, or molasses. Recently, I used the liquid from prunes that had been sitting in the fridge for several days, or weeks rather. It was thick and sweet like molasses. Stir ingredients and taste test. If you want more spice, add a spice, like a bit of hot sauce or cayenne. If you like smokey, add a few drops of liquid smoke. How it tastes directly will not quite match how it tastes on the chicken. You want flavors to balance the chicken, so just go with whatever you have. I've even added cherry preserves to my sauce in the past. If too thick, thin with a bit of water, or splash of oil or balsamic vinegar. Baste onto the chicken the last 15 minutes of cooking. 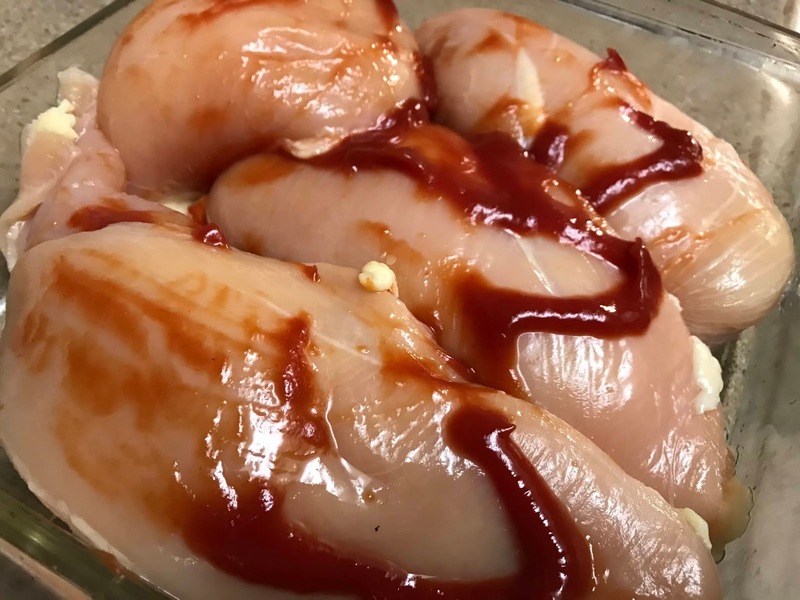 Watch me make Ketchup Chicken in the video below. 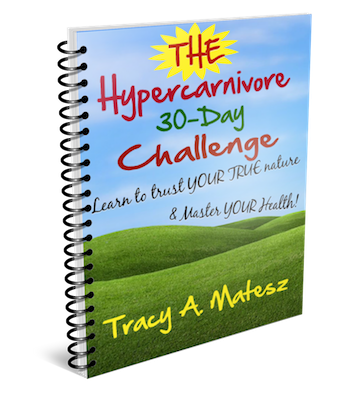 Ready to take the 30-Day Hypercarnivore Health Challenge? Click here, or the link below, to receive your FREE 25+ page e-book! Read more about The Hypercarnivore 30-Day Challenge.